When you scan in business cards, you can attach tags to the cards. 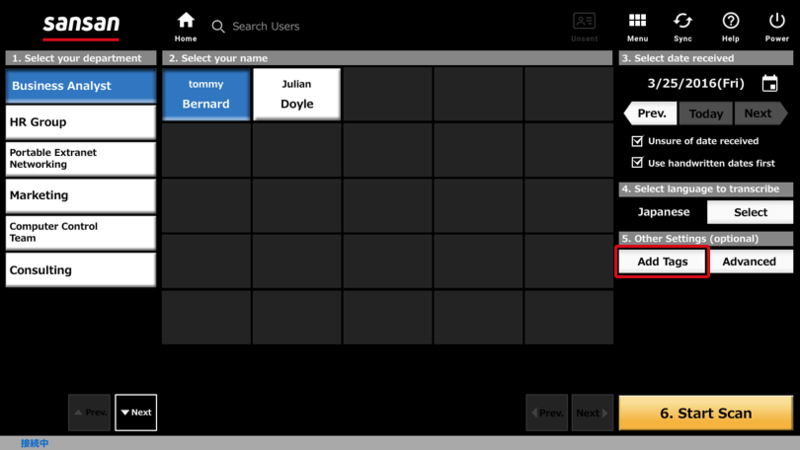 From "Attach tags" of the scanner app, you can create and attach new tags or attach shared tags that have already been registered. New tags created will be private tags that only the user who created them can view and use. 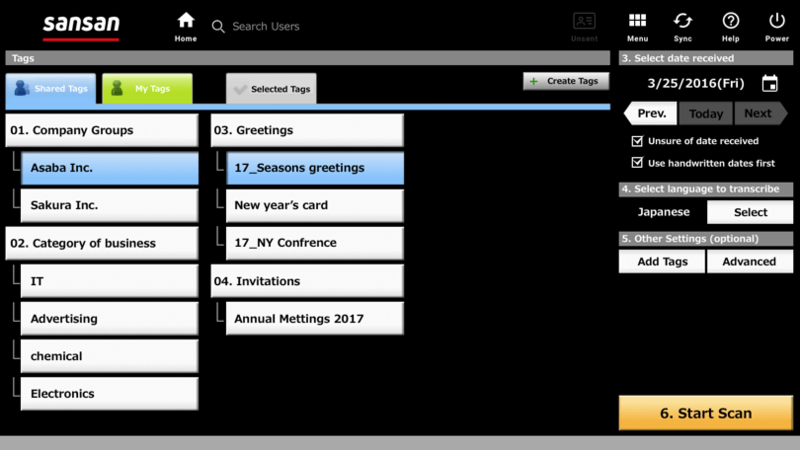 *As tags made from the scanner app will be "My tags" (private tags), we recommend creating tags from Sansan for PC. 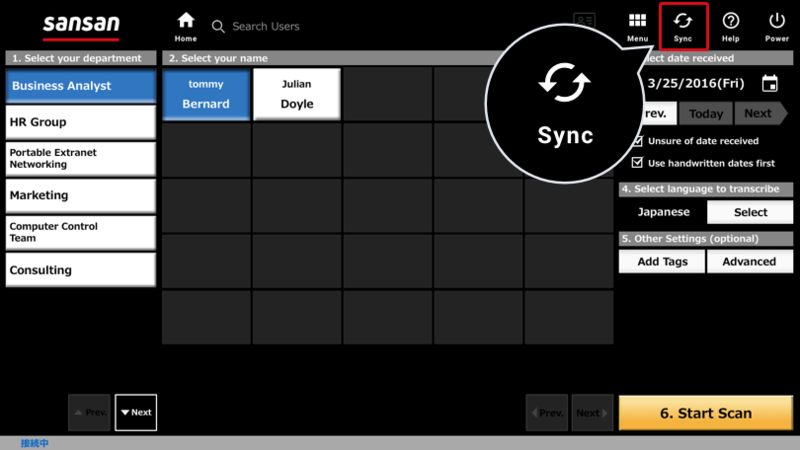 If the tags you created in Sansan for PC are not showing up, please press "Synchronize" at the upper right of the home screen.